Cold Bain Marie Manufacturer in India, Cold Bain Marie Supplier in India, Cold Bain Marie in India. We are involved in offering pickup counters in India, Cold Bain Marie in India which are highly utilized in various hotels, restaurants and canteens. Available in various specifications, these counters clearly display all the food items along where from the food stuffs can be picked up. 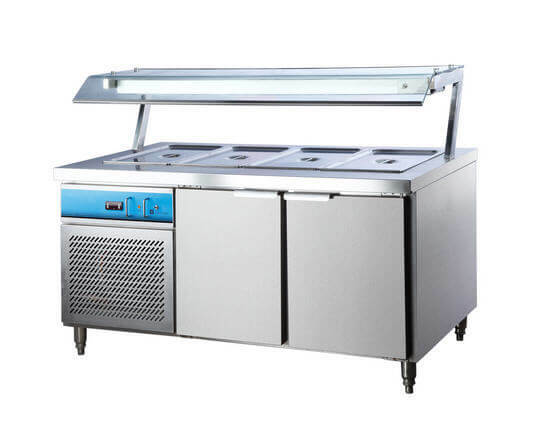 cold bain Marie is attached with these counters which helps in instant cooling/ backing of food items and serve whenever required. These are manufactured using premium quality raw material procured from the most credible and recognized vendors around the country.